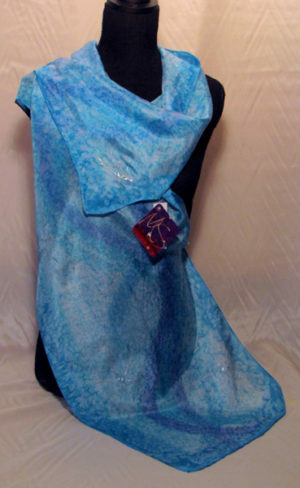 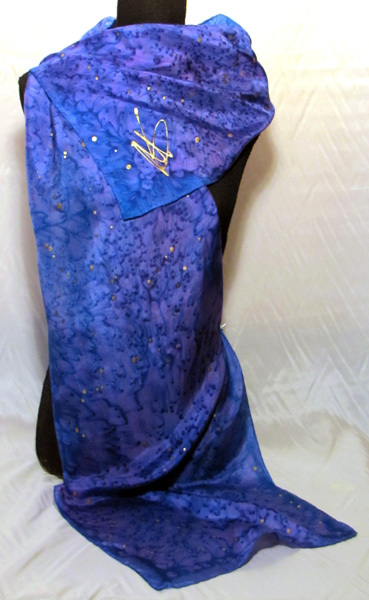 The Celestial scarf is displaying a both deep and dark blues that have subtle red tones. 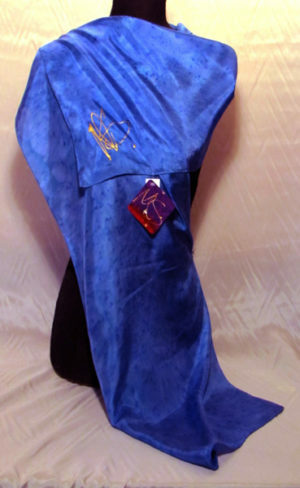 No edging needed to enhance the overall design of this item. 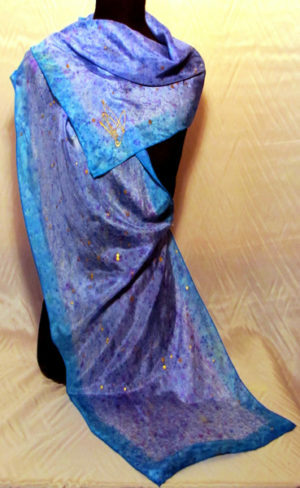 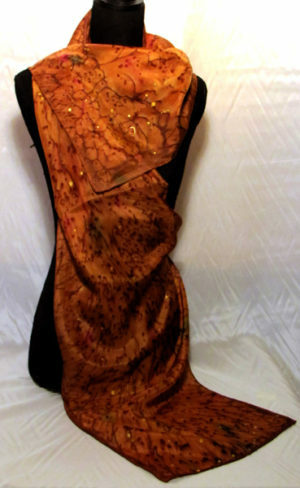 The gold & silver dots suggesting heavenly patterns also pops thru in the body of color to enhance the overall design.